David Archuleta‘s latest music video, “Something ‘Bout Love,” beats Taylor Swift‘s “Mine” to capture lead on MYX Daily Top 10. However, SBL is no longer listed. Idol Chatter: I interviewed you last December and, at that time, you said you wanted to put more of yourself in the second album. Do you feel like you accomplished that, and why? David: I do, actually. I am actually really happy about that. The lyrics are just a lot more in tune with who I am as a person. I think (they will allow) a lot of people to connect with the more thoughtful and the lighter, goofier side of me…. And don’t miss these great photos from David’s performance in York! The three chevron shapes on his cool t-shirt: do they stand for Voice Voice Voice!? 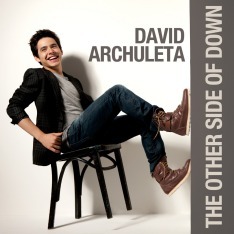 David Archuleta Signs with Wright Entertainment Group! David Archuleta officially has new management. The Wright Entertainment Group tweeted today,”It’s official we have a new client! Welcome @DavidArchie to the @WEGMusic family! !” The WEG lists a slew of successful and youth-oriented clients on their website, such as Britney Spears, Justin Timberlake, The Jonas Brothers, Ciara and more. David has settled in with new management at the right time–he’s about to drop his sophomore record, The Other Side of Down, due out on October 5. David has also mentioned in interviews he’ll be embarking on a tour soon after the new record drops. 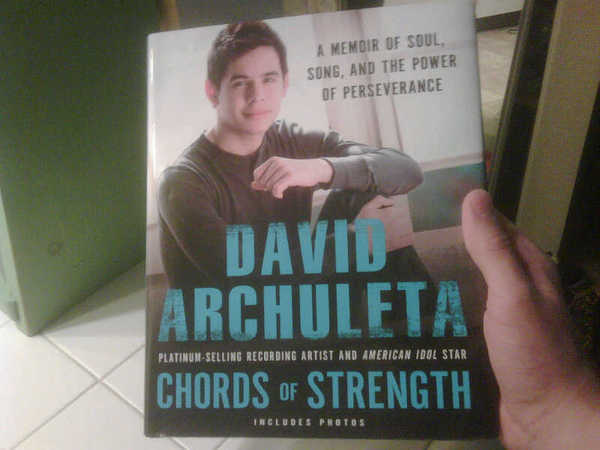 Read the rest at David Archuleta’s About Page. Hey David fans, this new video puts us halfway through the album previews, what do you think of the album so far? Favorite songs? Favorite lyrics? Discuss amongst yourselves in the comments and enjoy part 3! 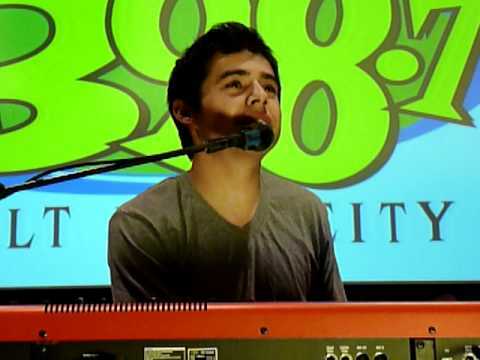 David Archuleta sings “Something ‘Bout Love” live on Todd & Erin Radio Show. David Performs at a Benefit for the Susan G. Komen Foundation. 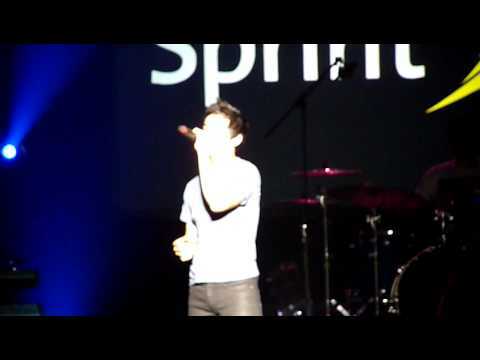 David Archuleta was one of several singers, including Natasha Bedingfield, Bruno Mars and Cody Simpson, who performed at Channel 96.3’s 4th Annual Pink Ribbon Performance to benefit the Susan G. Komen Foundation tonight (Friday, September 24). David premiered a beautiful new song, “Falling Stars,” for the breast cancer benefit. This one’s gonna be a personal fav! > Back in Utah to do some radio promo here! Woot woot for hometown radio stations! > At Megaplex theaters at Jordan Commons hangin’ with @Mix1079online! > Buenos dias. Time to do phone interviews, and then off to visit more hometown radio stations! > Looking forward to the Pink Ribbon performance at the Hartman Arena tomorrow here in Kansas! > Pink Ribbon performance tonight at the Hartman Arena! A cool lineup of artists! > Had a good time on stage! Good crowd. The Ready Set’s about to go on now. > Bruno Mars just had a great set. Congrats to him on having the #1 song in the US! Natasha Bedingfield on next. > Heading to York, Pennsylvania to play FM 97’s show at the Pullo Center. > Had another fun show in York, PA! Good seeing @HotChelleRae, @Shontelle_Layne, @RunnerRunner, and The Ready Set again. Follow David Archuleta on Twitter. He has almost 477,000 followers, but who’s counting? —I am!!! During the past 22 weeks, David has averaged 5545 new followers each week. Thanks Minja for some wonderful information about David! I loved the videos that you included. 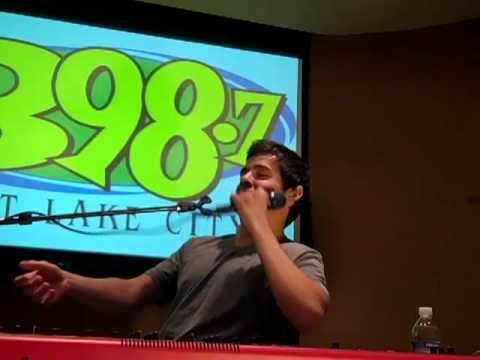 They show a huge difference in the way David communicates during interviews. I almost rolled over when he turned the question around about the one place that he would go alone…’I have a place in mind and it’s nice’… but he’d keep it a secret. How does he think of these things on the spur!!!!? Oh, I’m not thinking!!! David is awesome!! !